Where do people actually bicycle? Planners, non-bicyclists, and bicyclists themselves often have misconceptions. A similar study by the National Safety Council of "typical" college-age bicyclists--ie, those who bicycle for practical reasons rather than that they are avid bicyclists--found that 71% of their riding is on the street with traffic. 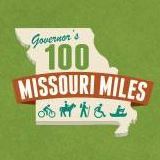 Do Missouri bicyclists pay their way on Missouri roads?